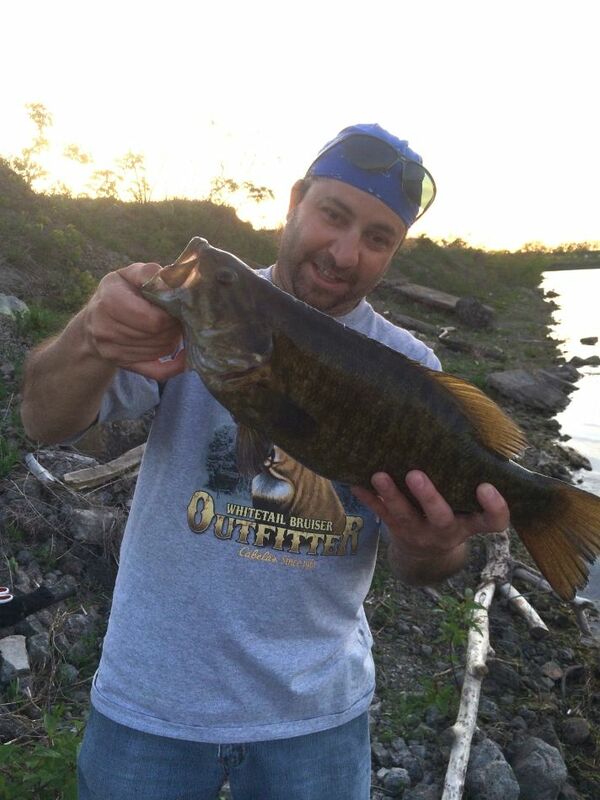 pishtech.com • View topic - AWESOME FISHING for SMALLMOUTH BASS!! 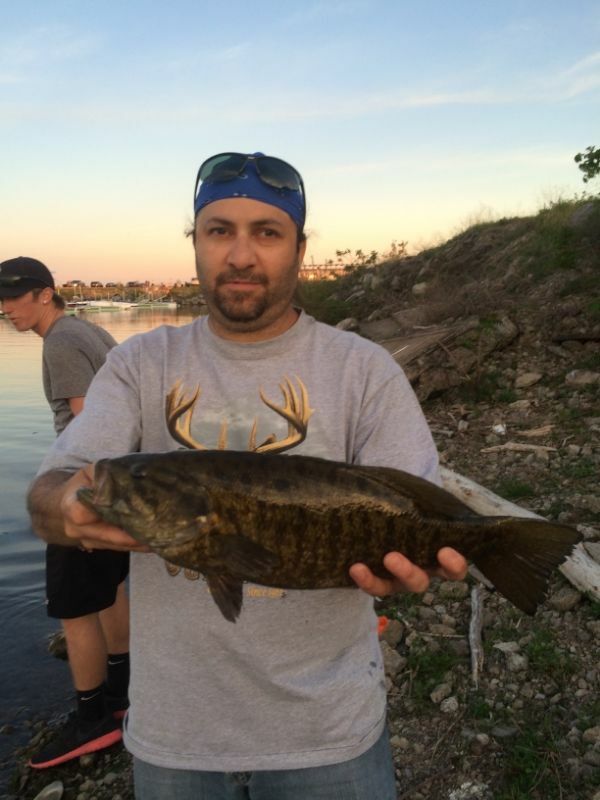 AWESOME FISHING for SMALLMOUTH BASS!! NIce! 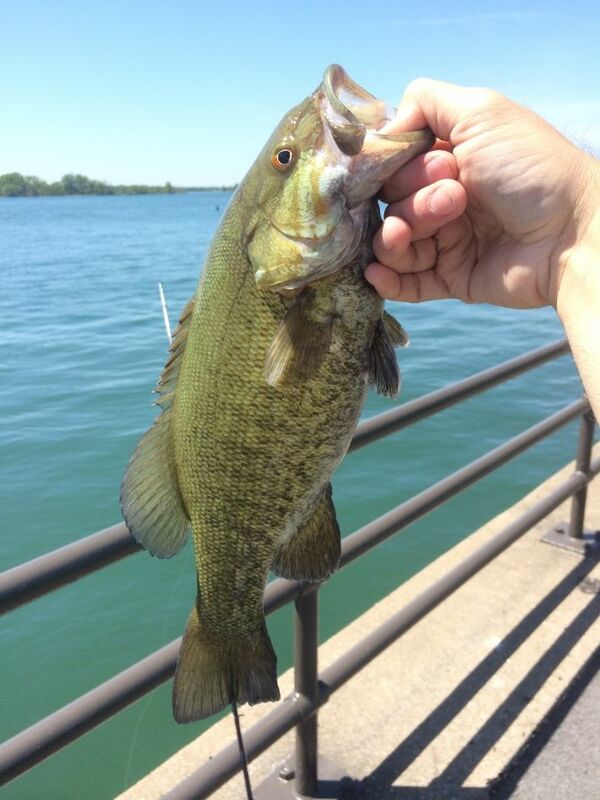 Kinda surprised me too, because I notoriously have a hard time catching Smallies, well, at leas the big ones. Irony to follow Caught a couple more about the same size, and quickly realized that it was about time the Smallies had moved in shallow. Cast on out, and in doing so my reel (was using an Abu Garcia Silver Max LP Baitcaster) gave me a minor backlash. As I got that straightened out and reeled in to begin my retrieve, i noticed the line felt a bit heavy. This being the Niagara River, I thought it could be a snag. But, instinct took over and I set the hook. Fish on!! Felt pretty good, and knew it was a nice Smallmouth Bass by its dogging dive and headshakes. 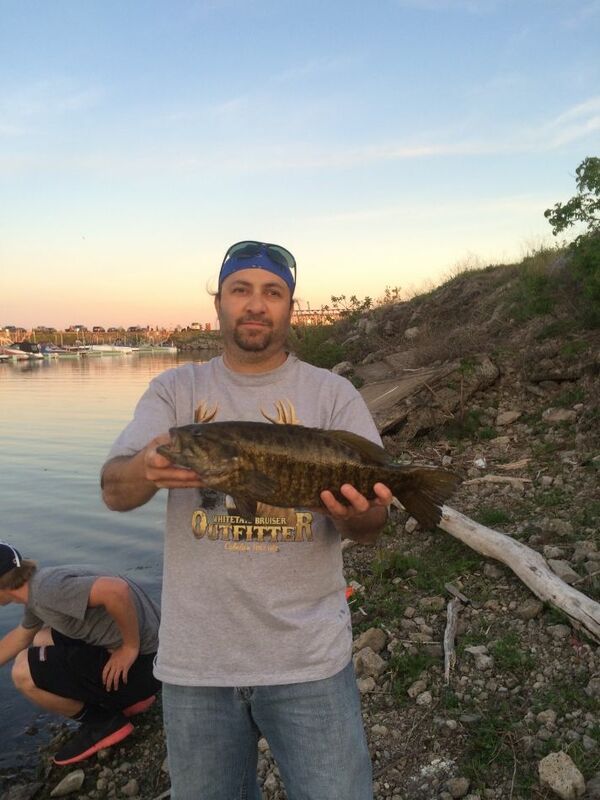 Got him in, had a tough time bringing him up over the wall but I managed, and got me a nice 3-4lb Smallmouth. Awesome!!! We quickly weighed it, and I almost died! ABSOLUTE TROPHY SMALLMOUTH! 6.2 Lbs!!! My Biggest Smallmouth Bass EVER!!! Stoked beyond belief!! She swam away, back to where she had come from. Oh my god, so darn stoked!! Measurements were taken, I am just about assured of getting a replica mount of the beast! After that, it was getting darker and though we hit a few more Smallmouth and Largemouth, the bite began to taper off. We finally left around 10:30pm. What an AWESOME day of fishing. Cannot begin to explain how dang happy I was to land that big Smallmouth, especially since I'm the one that always seems t have the problems finding the big ones. 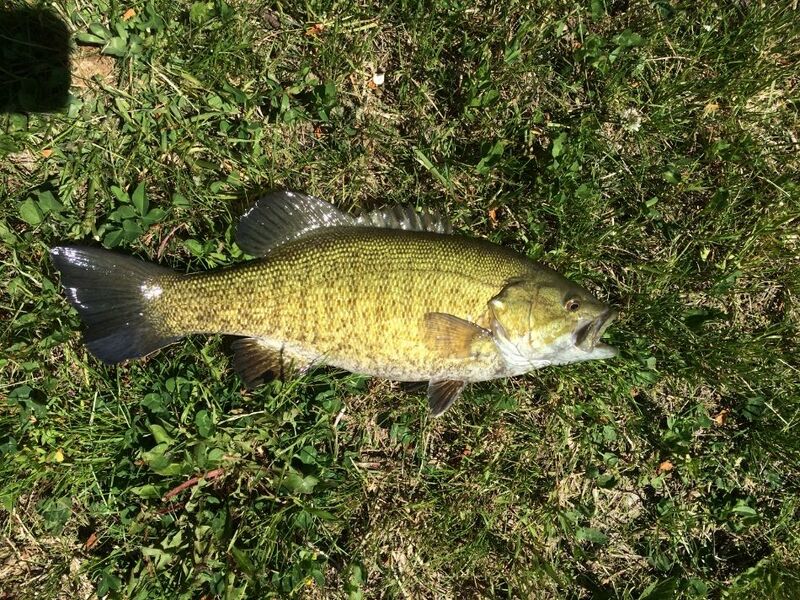 Luck was on my side today, and as I said I am planning on having a replica mount made of that girl as I probably won't ever beat that Smallmouth (well, I mean as far as bass go. I've caught bigger fish of course lol). That one is just really special because of how long I have been pursuing Smallies, only coming up with average results. Sweet!!! 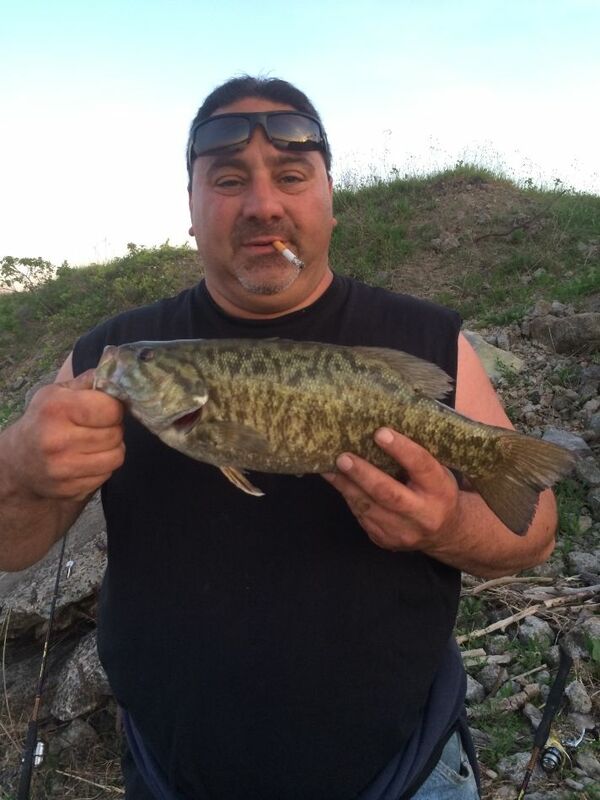 Re: AWESOME FISHING for SMALLMOUTH BASS!! That is a great fishing story and some nice pictures. I'd agree with you, that must have been an awesome day. Once in a while we would hit one of those days but that doesn't seem to happen very often. Mood of the fish? Phase of the Moon? Who knows. 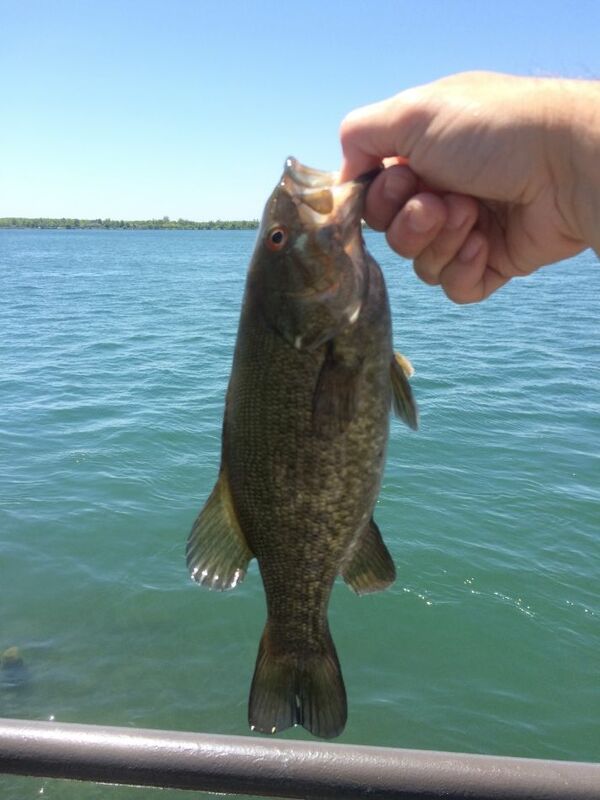 I really like the picture of the Smallmouth bass, especially the one with deer horns growing out of his back. A rare fish indeed. I might just including that in my "Fantasy Fishing" outing that I have been holding for a long long time. Maybe one day I will dig it out of the dust bin and give it a refresh and then publish it. There is only a slight complain about the fish pictures though. If you had only left your fingers out of the fish's mouth the picture would have made a great profile picture for building a Smallmouth Bass. Next time when you catch a fairly large one with good colors can you take a good picture for me? I am sure I can make it into a great Jumping Smallmouth for our RWFF program.The one that we have is OK but lacks the natural sheen of a real fish. Thanks! 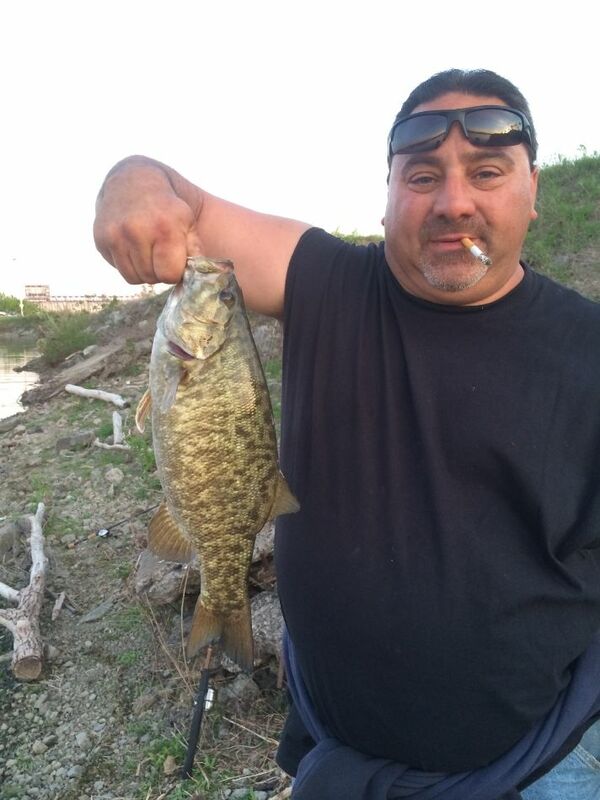 Keep those great fishing stories coming. Thanks for sharing your fine fishing day with us. Thanks for the reply, my friend. Yeah we've been smokin the bass up there, mix of Largemouth and Smallmouth. 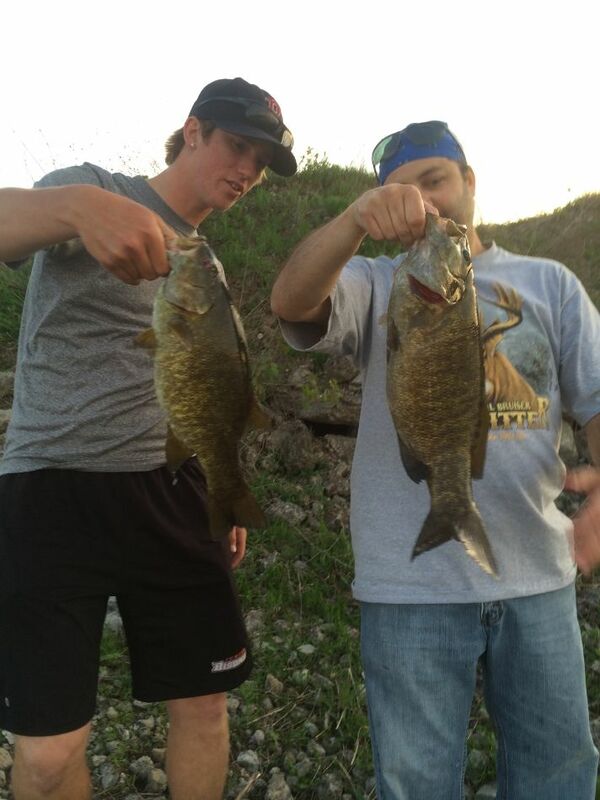 I am still in shock over that personal best Smallmouth, still cannot believe I caught it! I'm certainly gonna have a replica mount made, as I do not kill fish for mounting purposes. Believe me, I have a ton more pics of bass that we've caught over the past few days, but I don't think you guys wanna see 100 pics LOL! Goin again tonight, best to take advantage of it while the bass are in shallow and before the weeds get out of hand. Once the water starts warming up even more, the Smallies will disperse into deeper water. I'm really thinking of bringing the fly rod with me tonight, but honestly I don't think I'll have room to get a good cast off. I'll have it with me and then assess the surroundings. Would LOVE to fight a big Smallmouth on a fly! As said, I'll be there this evening. I'll try to get a good picture for you to use as a profile pic, though that requires Smallmouth cooperation of you get my meaning haha. I don't think I'll beat my 6lber, but we've been averaging 3-4lbs. If I get a colorful one with good size, I'll try my best to get a good profile pic for you so long as the fish isn't out of water too long. I still wish some of you guys were around me to experience this fishing, especially you Stanley! 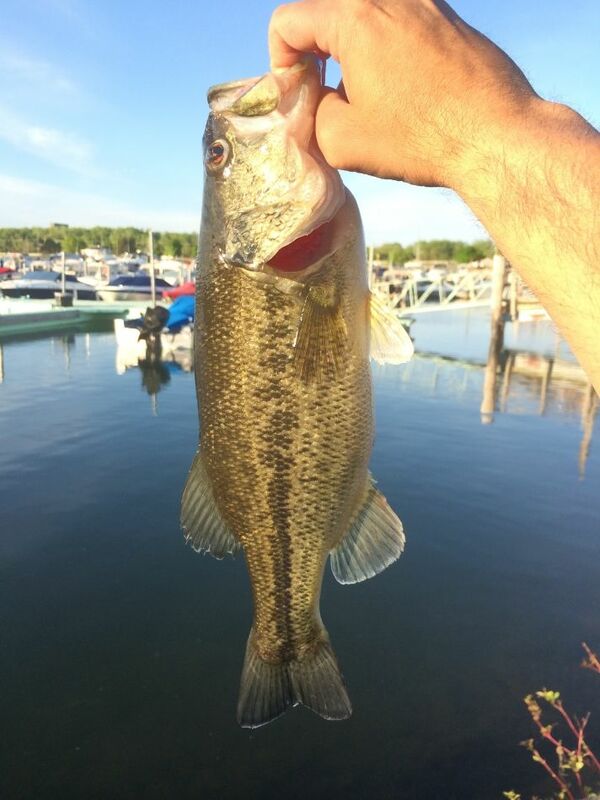 Would love to share some of that Bass fishing fun with you! I was primarily a trout fisherman but Bass was definitely my second favorite. I used to do a lot of that in Minnesota and had great fun catching them with a flyrod. It is pretty rare that the Smallmouth and the Largemouth are schooling and feed together. You are very lucky to have that happen in your waters. Like you said the Smallmouth will head for deeper water when the temperature warms up and they will be harder to catch on a flyrod. Take care and enjoy the fantastic fishing season. When you are ready to come back we will still be around the RWFF Forum. I tried to get it into position to get you a good profile picture, but my cousin was way down the other side and would have taken him far too long to get there for a pic. 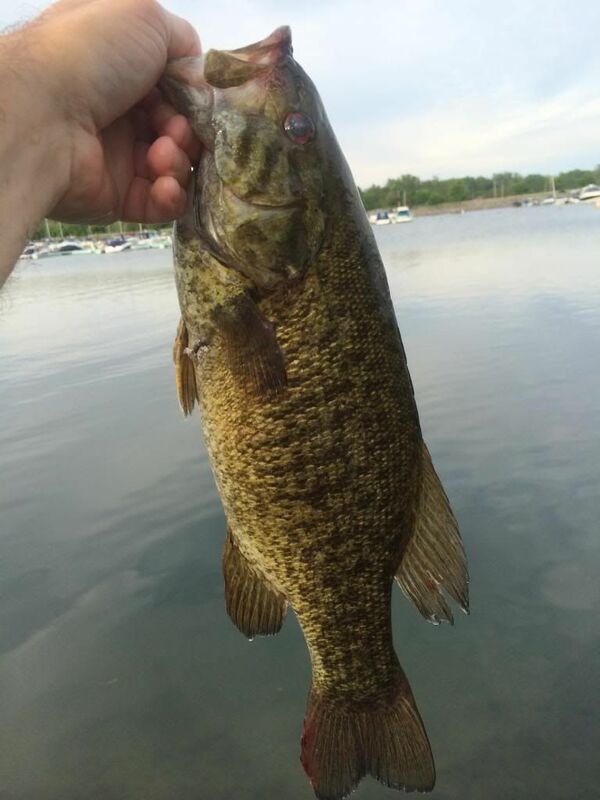 I wasn't gonna risk the Smallie's life by keeping it out of the water too long, you know? I even tried to place it on the ground, but it was such an active and strong fish that it wouldn't sit still, kinda like trying to get a young child to sit still for pictures haha. So, since I think the bass are in post-spawn mode, I'll try again in a few days before they start heading out of the harbors.